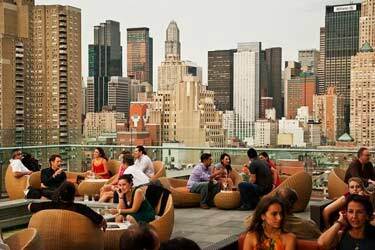 The Pod 39 rooftop bar NYC provides a stunning view of New York City and all the skyscrapers. 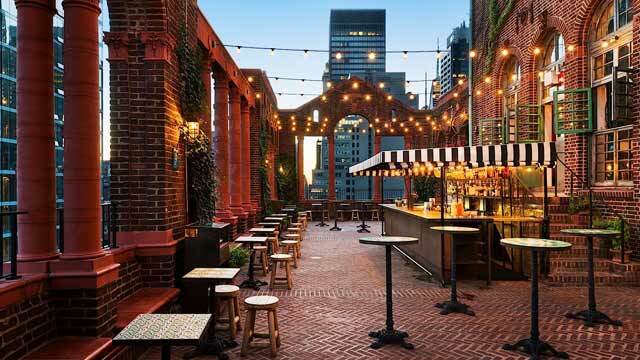 Located in the Murray Hill neighborhood of Midtown Manhattan, just a couple of blocks from the Chrysler Building, the terrace has a really cool 1800's setting with brick arches, ivy walls and cosy lanterns glowing in the night. 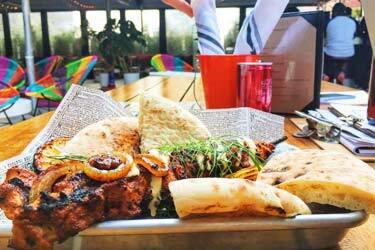 The rooftop at Pod 39 is run by Salvation Taco, so it is also reffered to as the Salvation Taco Rooftop. 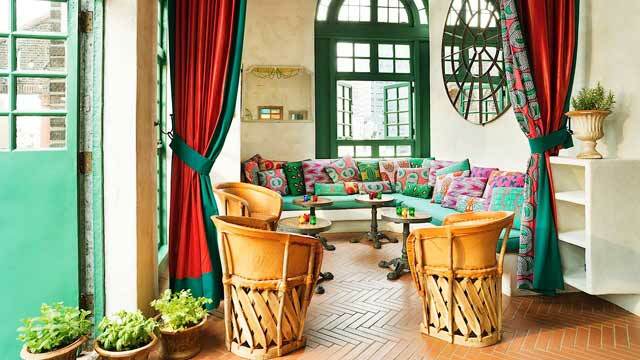 The Salvation team run a full Mexican restaurant in the lobby at the hotel, open from early morning to midnight for breakfast lunch and dinner. 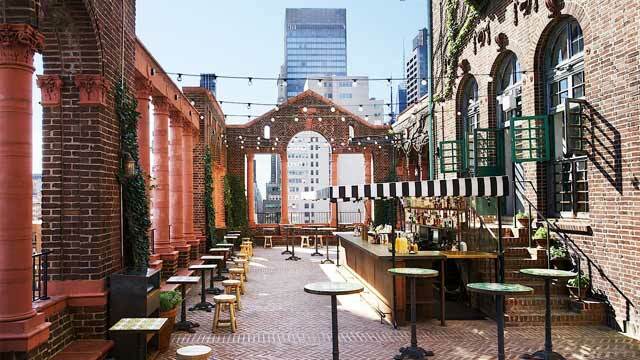 The rooftop part opens at 5pm, and up here you can enjoy fresh cocktails (like a classic Margarita), different canned beers, wine by the glass and a few different and tasty tacos. 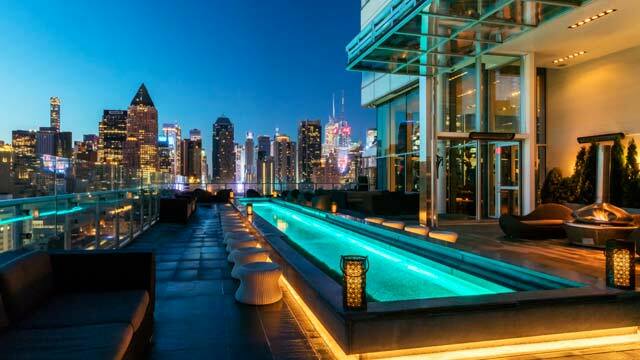 Lounge at Pod 39 Hotel is a perfect place on this list, for some afterwork and evening cocktails. 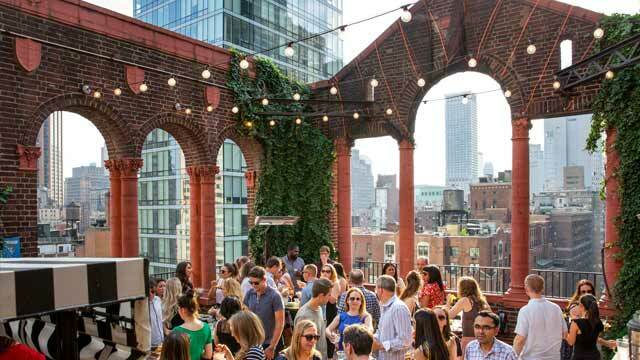 Usually a great and vibrant atmosphere up here, and also a bit of waiting to get up, as it is a popular place, especially among a younger crowd. 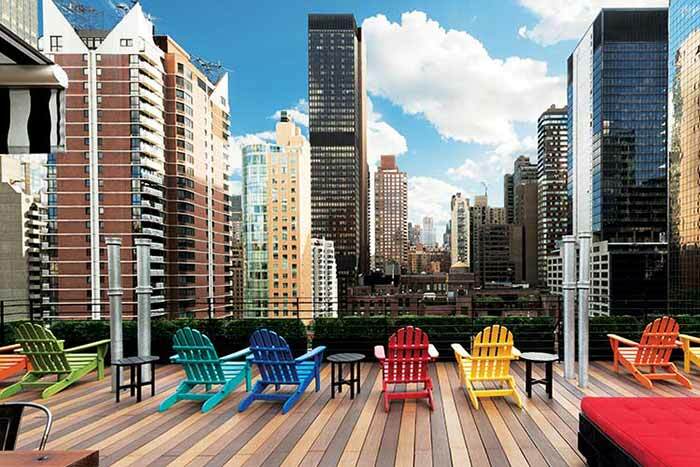 But the views and the charming settings make Pod 39 NYC well worth a bit of waiting. 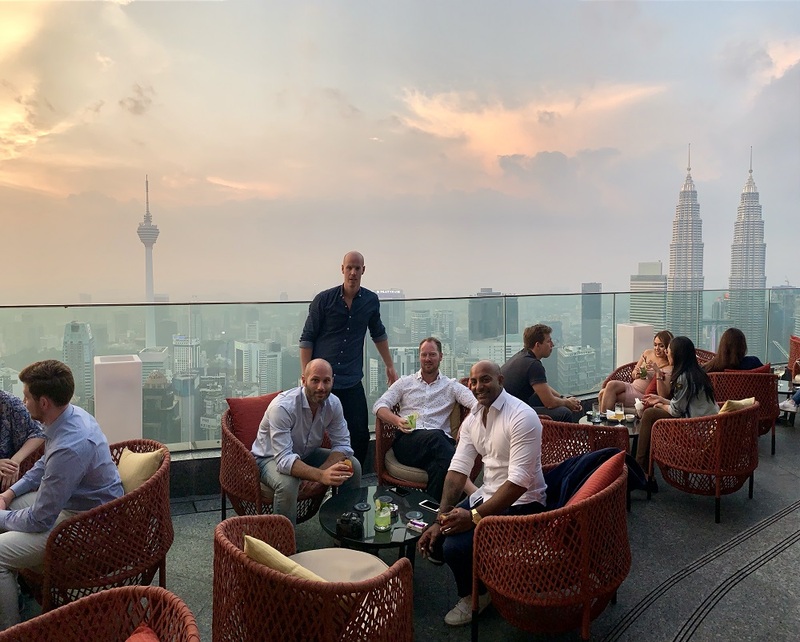 Read more about when The Rooftop Guide stayed at Pod 39 and visited their rooftop bar for some after work and drinks. 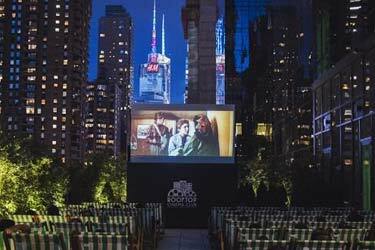 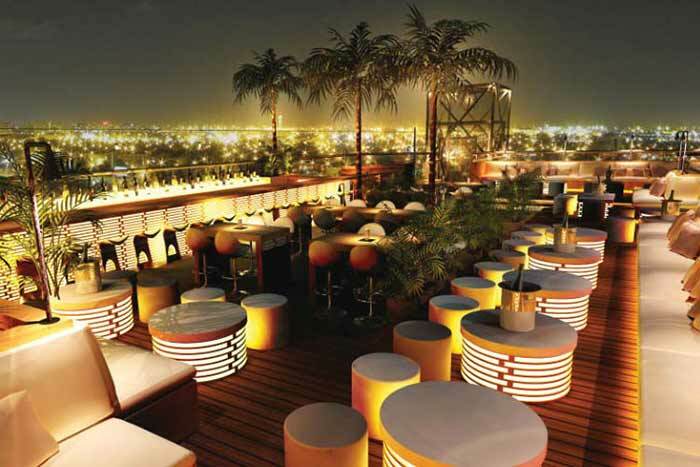 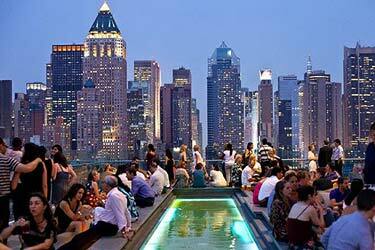 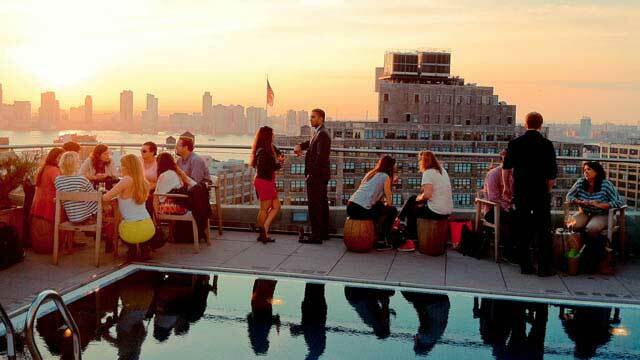 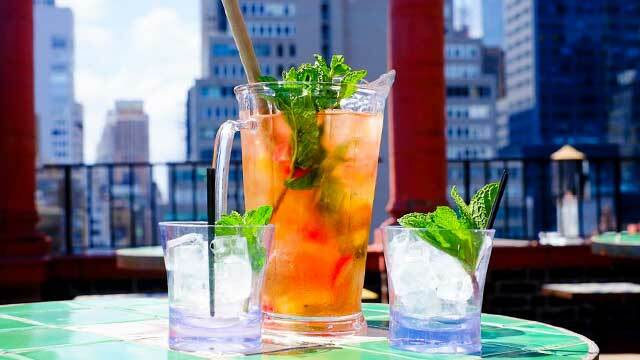 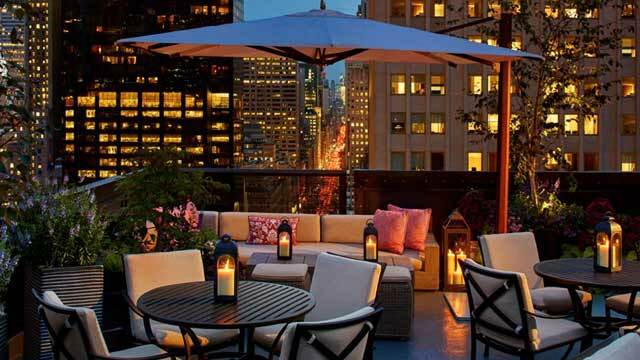 Read more about the 5 best spots in NYC for a rooftop party, where Pod 39 is listed.